From classic cars to classic old movies, there’s something comforting about the past. Some things change, but the truly timeless things, the ones that stay popular no matter how far we get away from them, those are the things that need to be cherished. 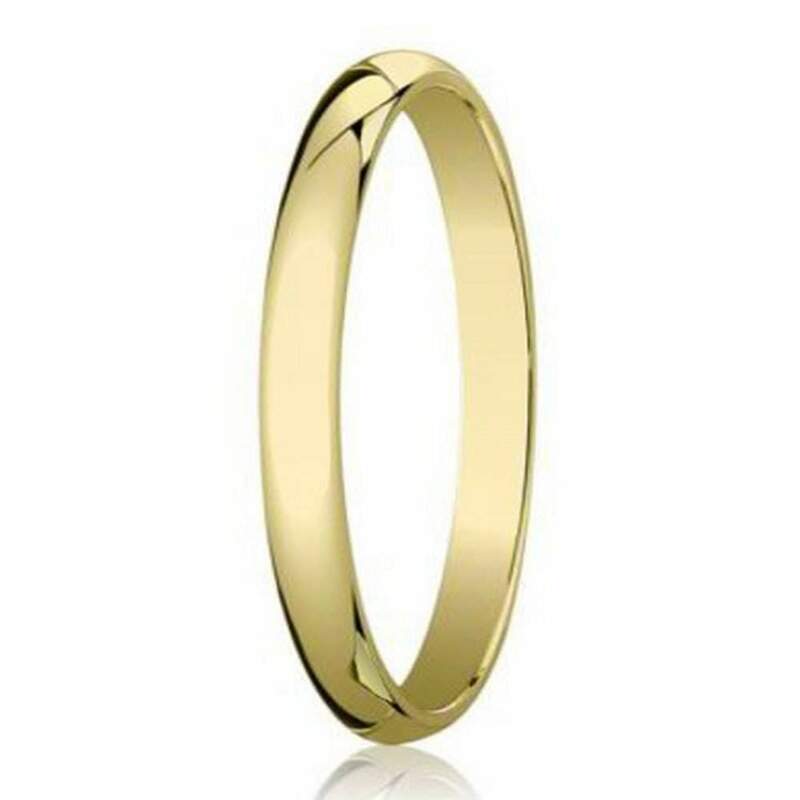 Our men’s designer 3mm traditional domed polished finish 10K yellow gold wedding band is the perfect example. Yellow gold is the metal that has been used all throughout history as the traditional men’s wedding band. It offers a beautiful gleam, and it is perfect for everyday wear, as it holds up to wear and tear exceptionally well. For those looking for a traditional gold band, the choice couldn’t be clearer. Our designer 3mm traditional domed polished finish 10K yellow gold wedding band is the perfect fit for your groom, especially if he’s more focused on the simple things in life. He knows that some things just get better with time, and our ring is no exception. Our men’s designer 3mm traditional domed polished finish 10K yellow gold wedding band is a beautiful choice for your groom. A ring like this represents everlasting love, and what better way to do that than with a timeless style and color that has represented love for decades. With no added embellishments this simple band does what it’s supposed to: share your love with the world. It’s eye-catching in its simplicity. To add an extra special touch for your groom, we offer custom engraving of up to 30 characters. The ring was great. Exactly as described and loved how the engraving was free!! Definitely glad I found Just Men's Rings website while searching the web for a engagement ring for my hunny. Okay, so originally I ordered a ring that was cheaper at Limogesjewelry.com and it SUCKED!!!!! But then I found this ring and ordered it and it's PERFECT! Exactly what I was looking for! The only thing I had to do was clean it in jewelry cleaner to shine it up (thats normal for jewelry though). It's a good price for pure gold, it got here super fast, and it's still in great condition! I LOVE IT! I would definitely recommend it!